The José Silveira Foundation (FJS) has 80 years and a legacy that honors the steps of its founder, Professor José Silveira, in promoting health and complementary actions for healthy living. The impact of the actions carried out by the José Silveira Foundation can be expressed in numbers: more than 1 million visits / procedures carried out throughout 2016, predominantly SUS. The José Silveira Foundation focuses its work in the health area and in activities aimed at promoting the quality of life of citizens in situations of greater vulnerability. The FJS also carries out actions in the areas of research, occupational health, projects and consultancies focused on environmental preservation and sustainable development. It all started with the work of the researcher and expert of the most respected in the world, José Silveira, idealist who fought, initially without support and resources, to fight the scourge of tuberculosis. Thus, in 1937, he founded the basement of the Augusto Viana Ambulatory of the former Faculty of Medicine of Bahia, the initial nucleus of the unit that would become an international reference in the treatment of patients affected by the disease: the Brazilian Institute for Tuberculosis Research (IBIT). The institution has been pursuing a process of self-sustaining development, with the consolidation of its units and projects, which benefit, above all, the most disadvantaged part of the population. Through the work developed by its Health Care Units, projects and programs of social assistance, the FJS prioritizes the rescue of human dignity and social inclusion. Based on these purposes, all work is developed within standards that stand out for the quality, accessibility and effectiveness of the services provided. Considered one of the most active philanthropic institutions in the North and Northeast, the FJS consolidates a work of excellence in the management and standard of care of its Health Units. In the strategic vision of an institution able to face the challenges of modernity, intense productivity, bases for the self-sustainability of the work of Professor José Silveira. The FJS is composed of the following Maintaining Units: Santo Amaro Hospital, José Silveira Laboratory, Security and Environment Unit and Health Unit. 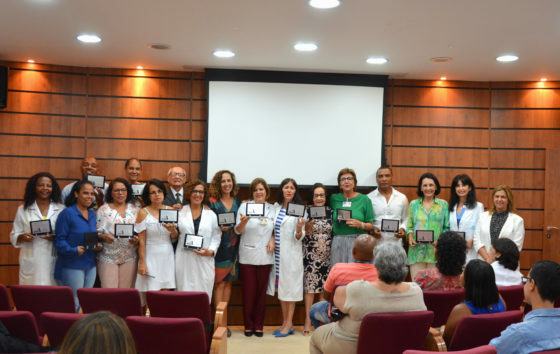 The resources generated by these Units contribute to the maintenance of the own Health Care Units: Brazilian Institute for Research on Tuberculosis (IBIT), Bahian Institute of Rehabilitation (IBR), Pestalozzi Rehabilitation Center, Cultural Incentive Center of Santo Amaro (Nicsa), Santa Casa Hospital São Judas Tadeu (Jequié), Cristo Redentor Hospital (Itapetinga) Health and Citizenship and Mobile Health Units. The Foundation also works in the management of Santa Tereza General Hospital, in Ribeira do Pombal (BA), through a contract with the State Government, and in UPA dos Barris, contracted by the City Hall of Salvador. Guided by ethics and commitment to best practices, the José Silveira Foundation has developed joint actions with the Public Ministry of the State of Bahia since 1997, through its Safety and Environment Unit. Over the last few years, joint actions have been intensified and the line of action has been expanded, such as the Millennium Development Goals (MDG) pact, which has gained new impetus with the program called “The Public Ministry and Millennium Goals: Health and Quality Education for All “. The José Silveira Foundation is the anchor institution of the Grant Agreement with UNDP, which aims to Develop Capacity for Sustainable Economic Justice and Promotion of Good Practices for Achieving Sustainable Development Objectives (ODS) in Bahia.